When Gautam Gambhir’s Kolkata Knight Riders take on Virat Kohli’s Royal Challengers Bangalore at Eden Gardens today, sparks are expected to fly as the two skippers are fierce competitors on the field. KKR are well placed in the season with 4 wins from 6 games, but Kohli’s RCB, who have won only twice in as many games, have some catching up to do if they are to stay in contention going forward. Over the years, the two teams have been part of some exciting contests that have thrown up many memorable moments. Here’s a journey through some of those iconic moments. When tracing the history of these two teams, one cannot but start by going all the way back to the very first day of this 10-season old T20 tournament. The Indian Premier League kicked off in 2008 with the inaugural match between Kolkata Knight Riders and the Royal Challengers Bangalore at the Chinnaswamy Stadium. T20 itself was then a relatively new form of cricket and people had not much clue on what to expect from this tournament. However, the ones who watched the first game left thoroughly entertained. The Kolkata franchise was led by Sourav Ganguly and the Bangalore side by Rahul Dravid. Put in to bat first, Brendon McCullum played a whirlwind knock of 158*(73) and gave the tournament a grand opening as KKR racked up a mammoth total of 222 in the first innings of the inaugural match. In reply, the Bangalore side were bowled out for a paltry 82. Though the match ended a one-sided affair, McCullum provided the perfect advertisement of the entertainment that the tournament would offer. 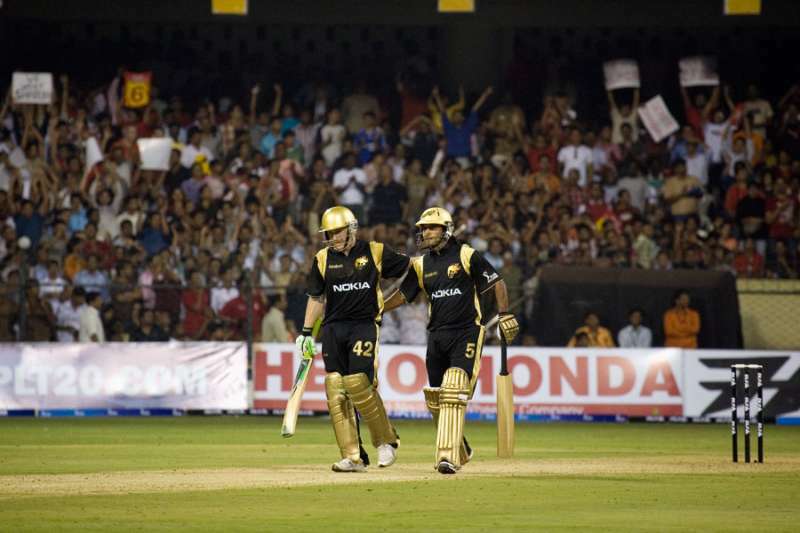 The Kolkata Knight Riders won the match by a margin of 140 runs.